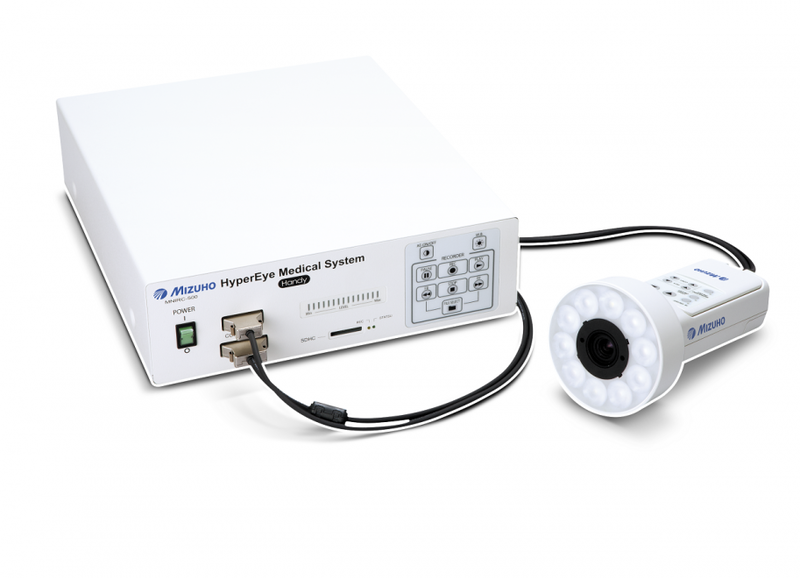 New High Sensitive Fluorescence camera displays Fluorescence and Visible Light Images Simultaneously. Indocyanine Green (ICG) emits a fluorescence (800 to 850nm wave) once irradiated with near-infrared excitation light (760 to 780nm wave). Fluorescence is invisible. HEMS super high-sensitive optical sensor realize simultaneous displaying fluorescence and color visible light images. Image pick up element (CCD) has good spectral response from 700 to 900nm wave length. It enhances and obtains an excellent fluorescence images under visible light environments. Controllers are on both the camera and the main unit. Each button is easily operated by a finger tip. Color and Monochrome images switching button is on the camera unit only (Sub-controller). The camera can focus objects by rotating a lens barrel. 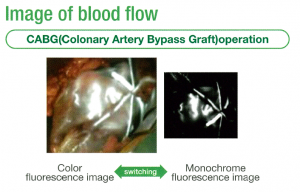 Both Color and Monochrome Real-time intraoperative images can be captured and output to SDHC Memory Card. 60min for 4GB card. Both Excitation and illumination LED Light are equipped on the camera unit(1500ux). 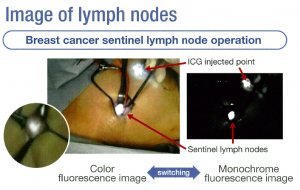 It supports to have bright view while a surgical light turns off.